I’m not sure where my mom found this recipe, perhaps in one of her many church cookbooks she collected throughout the years. 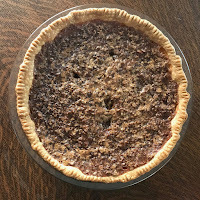 The pie got its name because it tastes like a pecan pie but uses oatmeal to replace the expensive nuts. 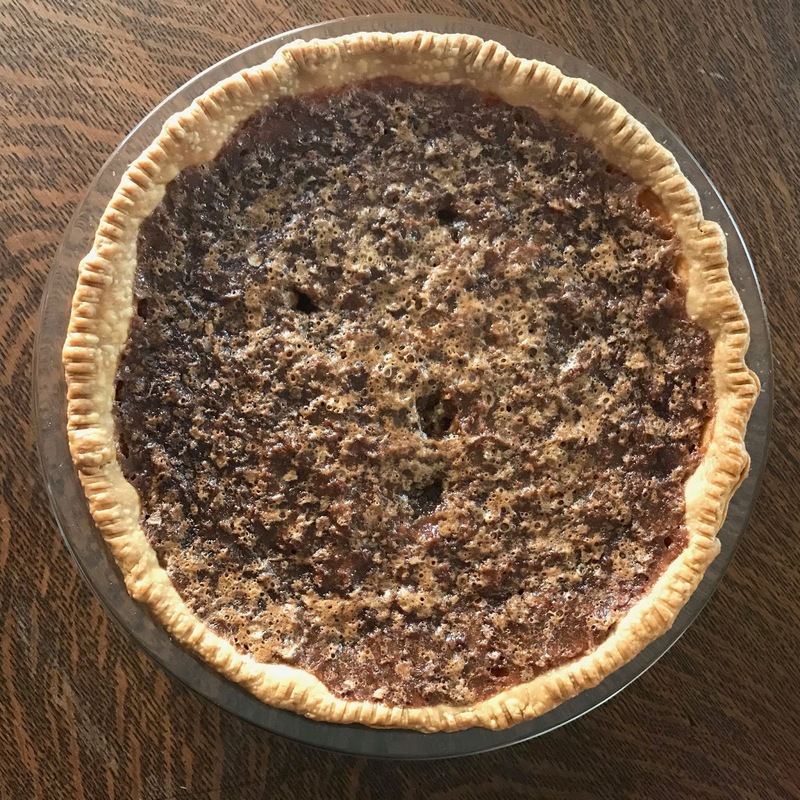 Seeing how I was never fond of nuts to begin with (and neither were my children), this pie became an instant family favorite. In fact, one year my son requested this pie instead of birthday cake. For those who enjoy the taste and texture of nuts, you can easily decorate the top of the pie with pecan halves. In a large bowl, whisk together the eggs and sugar. Mix in the dark corn syrup until thoroughly blended. Pour into pie shell and bake at 350 degrees for approximately 45-50 minutes. 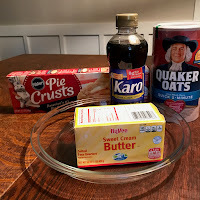 I love Pecan pie but I also love oatmeal, so this recipe looks interesting. 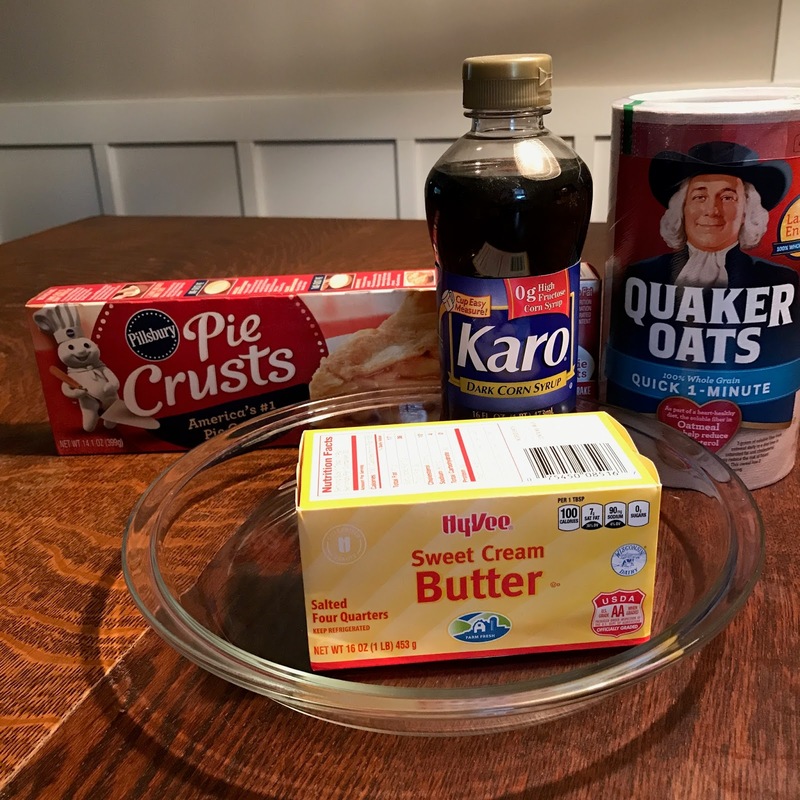 Few ingredients, quick and easy. I'm pinning it. Oh what a great recipe for those with tree nut allergies. I like pecans, but you've made me curious. I'll have to give this a try over the winter. Is this less rich than classic pecan pie? The real thing always seems too over-the-top for me! There were three pies at our thanksgiving dinner (and for Friday), and I never got around to eating the pecan pie, only had apple pie and chocolate pie! So much to eat, so little time. What a great alternative to serve to those with nut allergies. I never gave that a thought! Good question, Mae. I would say it might be a little less rich, but it is a very sweet pie. I eat only a small sliver at a time. You are so right… so much to eat and so little time. This year, I tried to replace the cream of soup recipes with more heart healthy alternatives – like roasted veggies. I love pecan pie but recently have become sensitive to nuts. Never thought to substitute oatmeal. Great idea — will have to try this.